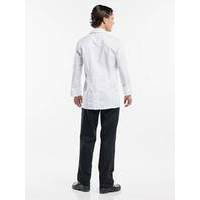 The Chaud Devant Chef Jacket Montello is a fusion of fashion and workwear. 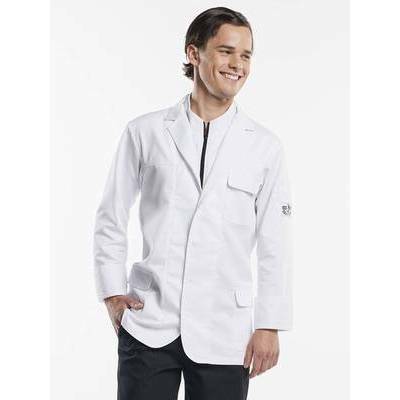 The jacket embodies a popular design with an extra, inner zip-up collar. The jacket is trendy and robust but helps create a well-groomed look. The inner collar, made from a contrasting waffle fabric, emphasises its functionality and trendy design. The Chaud Devant Chef Jacket Montello looks like a casual but sophisticated jacket, offering all the practical features of a chef jacket.